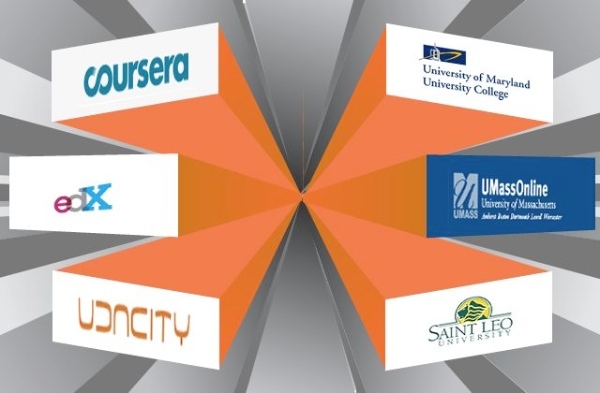 MOOCs – massively open online courses – are the latest hit in educational technologies. MIT and Harvard have partnered on EdX, and Stanford computer-science professors have kicked off Coursera and Udacity. Meanwhile, Bill Gates and others fawn over the Khan Academy. University of Virginia president, Teresa Sullivan, was even temporarily ousted because she was not perceived by her board of trustees as moving quickly enough to start UVA’s own MOOC-like offering. So, is all of this hype justified? I tend to think not. And to explain why, it will help to categorize MOOCs into three types: 1, 2, and 3. Type 1 MOOCs are those that consist almost solely of educational content placed online. They make no serious attempt to take attendance, administer proctored tests, provide call-in numbers for human tutors, give certified grades, or otherwise do anything that goes beyond providing just the educational material. (Incidentally, the issuing of printable certificates upon clicking the “Finish” button does not count as a “serious attempt.”) With Type 1 MOOCs, the content may be fancy. It may include interactive simulations, educational games, adaptive problem sets, videos of uproariously entertaining professors giving lectures, etc., but it will not include things that require significant human effort. Type 2 MOOCs include a little more than Type 1 MOOCs. They attempt to provide some aspects of the regular school experience beyond mere educational content. There may be real-time online chat with tutors. There may be some way to take proctored exams. There may be an office that issues certified transcripts of students who have taken courses. In any case, Type 2 MOOCs are an attempt to be more like a real school, with the content delivered in much the same way as a Type 1 MOOC, but other components, such as human grading, or help from human tutors, provided in a way that requires human administration. Type 2 MOOCs vary greatly in exactly what they offer, but most like to emphasize that they do more than just offer content online. They know that Type 1 MOOCs aren’t enough. For example, one experiment along these lines is to have remote human proctors watch sped-up video-recordings of students taking tests in order to reduce the likelihood of cheating. The third type of MOOC is not really a MOOC at all. It is traditional distance learning or a traditional online course. These are real courses that are organized, taught, graded, and certified by real educators, but which just happen to use online channels to engage with students. They include regular distance-learning courses, and are rarely either “massive” or “open” in the sense that the material is offered free to anyone with Internet access. Most Type 3 MOOCs will usually charge significant fees for classes. They need to, to pay for the teachers, the graders, the administrators, and the infrastructure. Overall, I expect that Type 1 MOOCs will have very little impact on educational worldwide. Type 3 MOOCs will continue to have educational impact, in proportion to the seriousness of the educational institution behind them. And Type 2 MOOCs will tend to become Type 1 or Type 3 MOOCs over time. As I have written elsewhere, technology amplifies human intent and capacity. In education, human intent and capacity includes both pedagogical intent and capacity of teachers and administrators, and individual intent and capacity of students. Type 1 MOOCs will probably not solve any major problems in education. Why not? Because real problems in education require considerable human effort, and Type 1 MOOCs, by definition, do not provide that. Type 1 MOOCs are just collections of educational material sitting online, and educational material sitting online is no better than educational material sitting in a textbook. Of course, there are students who have a lot of self-motivation, and MOOCs will be helpful for them (they will amplify the impact of the student’s motivation). But, even before MOOCs, there was a vast amount of educational material available free online. It doesn’t require new MOOCs to support the highly motivated student. At the other end, there are Type 3 MOOCs. These will amplify the pedagogical intent and capacity of the institution running them, and there will always been an institution running Type 3 MOOCs. Type 3 MOOCs are real schools first, and online gimmicks second. Type 3 MOOCs will certainly allow schools to reach a larger set of students, and the technology used to run them could lower some costs so that someone in the system will benefit from greater revenue or lower prices. Cost is the Type 3 MOOCs best selling point, but the cost reduction will be scalar – each student will cost some non-trivial amount that will likely not shrink below an order of magnitude of regular tuition. But with reduced cost, there’s a consequence. Type 3 MOOCs will never quite be as good as the real thing. At physical schools, students can engage in lively face-to-face discussion; feel the responsibility to attendance and assignments that physical classes impose; get a boost from the camaraderie of shared struggle; create long-lasting friendships that become valuable social networks; etc. As a result, there will always be a place for the physical school – and here, I’ll risk the prediction that however popular MOOCs become, and however many experiments there may be to replace physical schools with MOOCs, physical schools will not only survive, they will continue to prevail. At the very least, the world’s elites will always pay good money to send their students to the best places to build social capital. And then there are Type 2 MOOCs. Type 2 MOOCs are where the most interesting experiments will happen, at least from the perspective of someone interested in MOOCs as a phenomenon. For example, technologists will get excited about the prospect of automating each of the human components of education. Grading, for example, is being increasingly automated, and there’s no doubt that that technology will improve with time. Unfortunately for techno-utopians, however, there will always be critical parts of a good education that are not readily computerized. And, as long as we allow inequalities in education to exist, there will be some people who won’t benefit from the existence of the best technologies, even if they were comprehensive. We’ve had automated grading of multiple-choice tests for several decades, but at least in the United States, educational inequalities has nevertheless increased since the 1970s. Type 2 MOOCs are thus inherently unstable. They will tend to slide down to Type 1 MOOCs or climb up to Type 3s over time. Type 2 MOOCs will have to charge someone for the extra value that they provide. And whoever pays the bill will demand two critical components of formal education: real learning by students and certifiable sorting of students. The best test of MOOCs (or of any educational concept, for that matter) is to see where their strongest proponents send their children. I expect that anyone making good income from MOOCs will send their own kids to the best physical school they can afford, or otherwise ensure that qualified adults are deeply involved in their education. At best, MOOCs will serve as a supplement. Ultimately, MOOCs will come and mostly go, like television-for-education came and mostly went. MOOCs are here to stay, but in a few years, there will be some other fad to excite today’s MOOC fans. Meanwhile, the world of the future might have a few more people learning online, but very quickly a new equilibrium will be reached, and things won’t be all that different from today: students from underprivileged backgrounds will continue to lose the educational race; parents with means will ensure the best (non-MOOC) education for their kids; and most students won’t learn that much more or less than they learn today. …unless, of course, we make the hard social and political decisions to pay for excellent adult guidance in education for everyone, by which I don’t mean buying every charter-school student a laptop loaded with Khan Academy videos and educational video games. A version of this article was originally published as Kooks and MOOCs by the ICT4D Jester. Written by Kentaro Toyama on April 8, 2013 in Massive Open Online Courses.